We're local and we can help. Automated Telecom is the Desert’s Choice for Telecommunications. For over 25 years Automated Telecom has provided custom voice mail solutions, wireless phones and services, pagers, paging and efax services, dial tone, internet, T1’s, and telephone systems for businesses and individuals. If you need help planning or restructuring your telecommunications, Automated Telecom can help. Mobilize your workforce with our Virtual Auto Attendant. Voicemail by Day and Answering Service by Night. Offering reliable, redundant internet service from over 80 providers ensuring uptime and connectivity. Offering Alpha Paging and Numeric Paging Services for those specific communication needs. 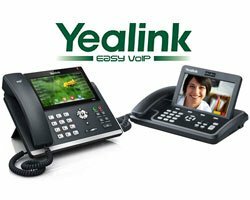 Our hosted telephone system by Yealink offers unified communication for businesses of any size. 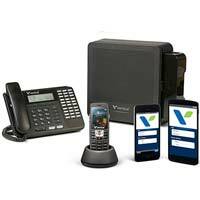 Easily migrate from analog to IP for true mobility and more with the Vertical Summit platform.